Our traditional public bar, the Thatchers Tack Room, within the Lakeside Garden will be offering a full range of premium draught beers and ciders, spirits as well as soft drinks from Wednesday right the way through till Sunday 6pm. Our vintage trestle table and bench seating provides the perfect venue to meet friends and family and soak up the Badminton atmosphere as well as easy access of the shops and cross country action on the Saturday. Make sure you bring your dancing shoes on Friday and Saturday night and don’t forget to follow us on Instagram @badmintonlakeside to keep up with the latest news and promotions. Click here to pre-order your drinks! Even without a table booking you can pre-order your drinks online. Avoid queueing at the bar and order now. 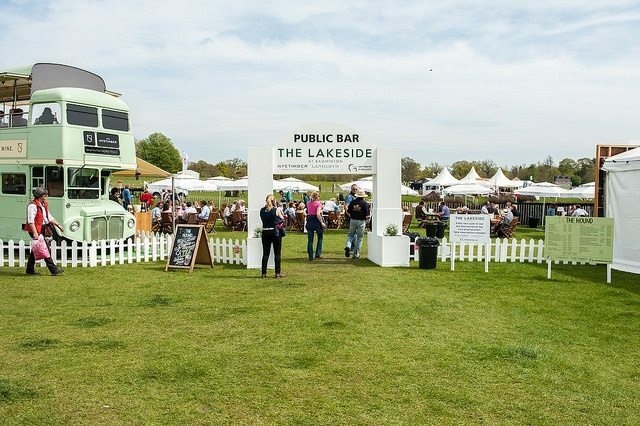 The Lakeside Kitchen will be serving a variety of hot and cold premium food and drinks from the Official Badminton Horse Trials caterer Relish. Lakeside Kitchen is available from Wednesday till Sunday. 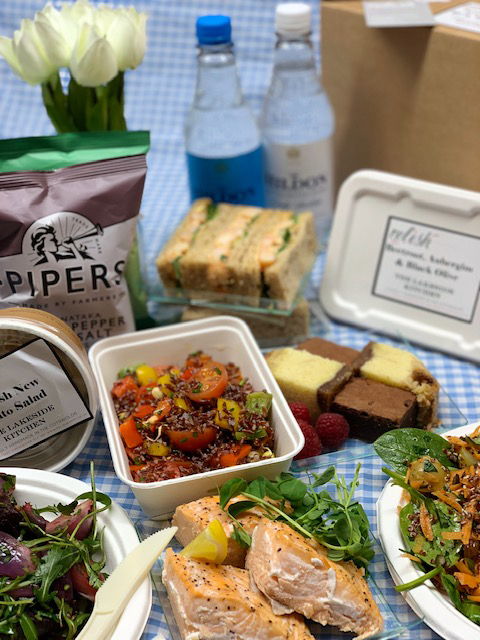 Or take away the stress and pre-book one of our individual special Lakeside Picnics that you can simply pick up on arrival.